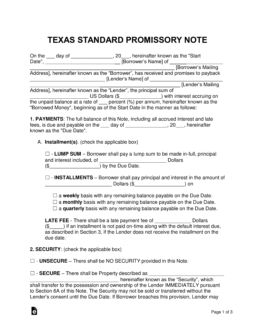 The Texas promissory note templates are documents that record the major details regarding a money lending transaction between a lender and a borrower. The documents are signed by all parties involved as well as a witness to give it legal validity. 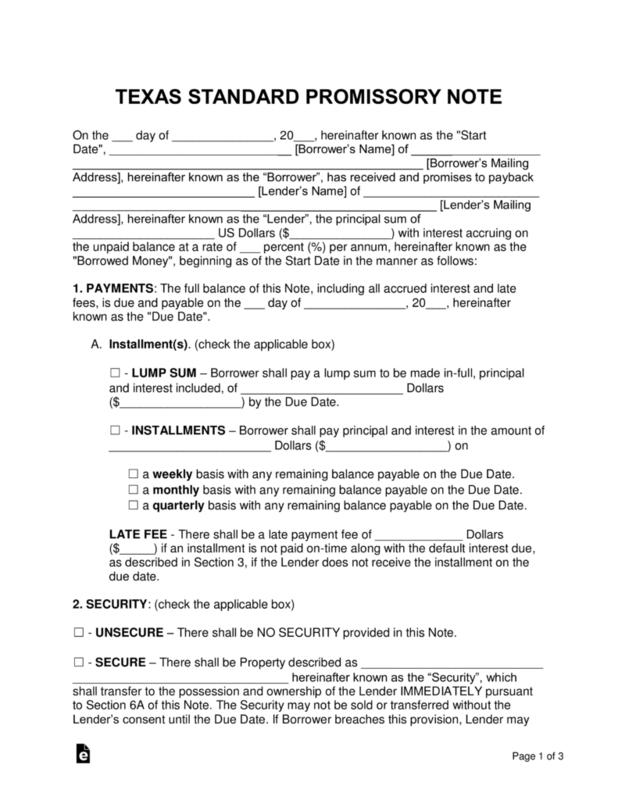 Secured Promissory Note – This template includes a section where an item is declared as security. This item should be of similar value as to the balance of the note, and is only given to the lender if the borrower cannot recover from a default. Unsecured Promissory Note – Does not include a section for security. This increases the amount of financial risk in the transaction for the lender. To help prevent a case in which the borrower defaults on the balance, the lender should be extra wary when selecting a borrower. Credit checks and personally knowing the borrower are two things that can substantially improve the transaction for the lender.